empowers athletes to create massive and immediate changes in pain, flexibility, and performance. The most frustrating thing for a coach is seeing an athlete do everything right all off-season, only to have some unexplained nagging injury derail their championship dreams. In 2009, world class sprint coach Chris Korfist had just one of those experiences. He had an athlete who was on track to being one of the best sprinters he’d ever worked with. The young man had just run the fastest 55m time in the country when he developed a hamstring issue that ultimately derailed his career. Haunted by this, Chris’s mission became to build a system that would prevent it from ever happening again. This is the pain that brought Reflexive Performance Reset® into being. In 2010, Chris brought a man named Douglas Heel to the US to speak about a technique that he called Be Activated. He’d heard of Douglas through fellow speed coach Dan Fichter, who had seen Douglas present on his technique in London the year before. Dan, not a man shy to try new things, knew that Douglas was onto something and that Chris would be able to find some gems in the system. With Be Activated, Douglas presented a treatment system that showed incredible and immediate (and frankly, almost unbelievable) improvements but was primarily focused on medical professionals. Chris saw in Be Activated the union of a wide range of different modalities but presented so simply that it could be adapted for a sport environment and yield enormous performance gains. True to his nature as an innovator, Chris began experimenting with the techniques on himself and eventually his athletes, tinkering with the system to elicit maximum performance. It worked so well that he started sharing it with other performance coaches in his circle. One such coach was world renowned strength coach and developer of Triphasic training, Cal Dietz. Working primarily with hockey and tactical athletes, Cal immediately started to see the same amazing results that Chris had. Cal then shared this information with world champion powerlifter and coach, JL Holdsworth. JL had a long list of unexplained injuries in powerlifting and was constantly on the search for answers. On Cal’s recommendation, JL went through the Be Activated training with Douglas. He too saw the immense power in the system and its potential to effect changes in performance and injury prevention, not just injury rehabilitation. If this is so powerful, why isn’t everybody using it? Nobody knew about it! Because Be Activated was taught to medical professionals as a treatment method, there simply wasn’t anyone thinking about adapting the system to a performance and injury prevention setting. It wasn’t that nobody knew how, it was just that nobody had tried. Bringing this idea to Douglas, he also saw the possibilities of making this a proactive, rather than a reactive system. This is exactly what Chris had spent six years doing! With his amazing results, and with Cal and JL adapting the system for their needs as well, they knew they had the solution to that problem. The people who did know were holding it back! The people who had been exposed to Be Activated were at the ultra-elite level, the 1% of the 1%. And they were either keeping it to themselves as a competitive advantage or positioning themselves as a magical healer, rather than an educator. Well, Chris, Cal, and JL share a philosophy of abundance in life and believe that when they have information that can positively affect people’s lives that it’s their duty to share that information. As coaches, their mission is to help people, and these techniques were a way to help more people, and in a bigger way, than ever before. With the adaptations that Chris, Cal, and JL made, the support of Douglas, and the want to get this system out to all athletes and performance coaches, Reflexive Performance Reset® (or RPR®) was born. RPR® is a system of breathing and neurological Wake Up Drills that help you move and feel better. The Wake Up Drills are simple enough that anyone can learn them in minutes and do them on themselves. Whether you’re a sport or strength coach, a personal trainer, an athlete, or a medical practitioner, RPR® is made to be seamless to implement no matter your environment. This seamless implementation, along with the incredible results, have led to RPR® being used by some of the top sports organizations and strength athletes in the world. 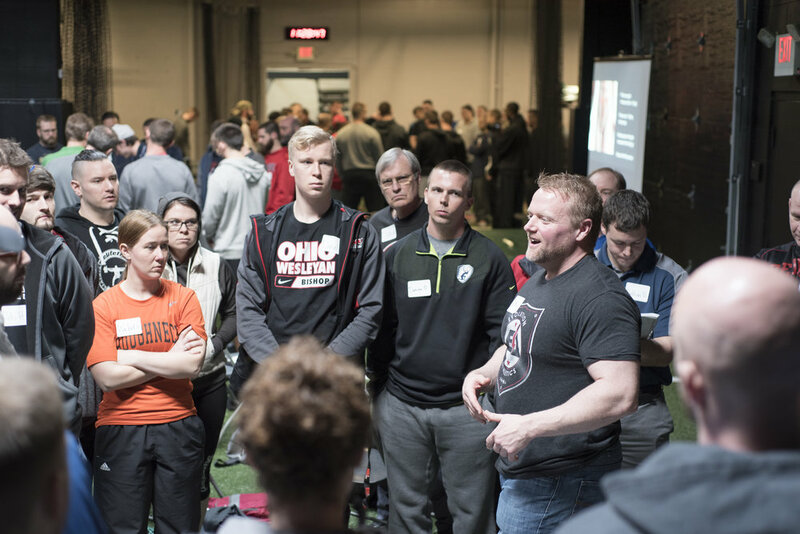 Whether you are an athlete, a coach, a trainer, or a practitioner, RPR® is made so you can learn to thrive.